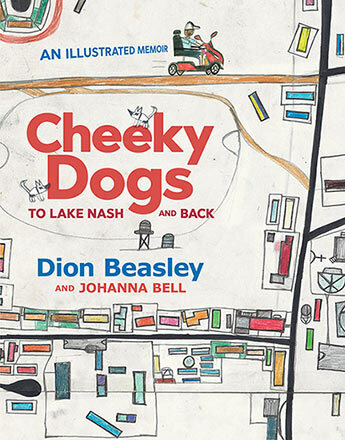 In this exuberant illustrated memoir, action-packed images and poetic words trace Dion Beasley's fascination with cheeky dogs and his unconventional journey into the world of contemporary art. Out of the freezer comes the meat. Bones and sausages and chicken necks. Butcher knife on the bricks, me chopping up. Be careful! Or you'll cut your finger off. We can't have that Joie says. Meet deaf artist, Dion Beasley, and the people he calls family. Dodging road trains by day and giant blue monsters at night, Dion weaves his way through life on an electric scooter, collecting rocks and dogs to make art. In his dreams he sees animals from overseas and his mother's country, Lake Nash, but every morning, without fail, he puts on his favourite socks and gets ready to feed the dogs. Is it time yet? 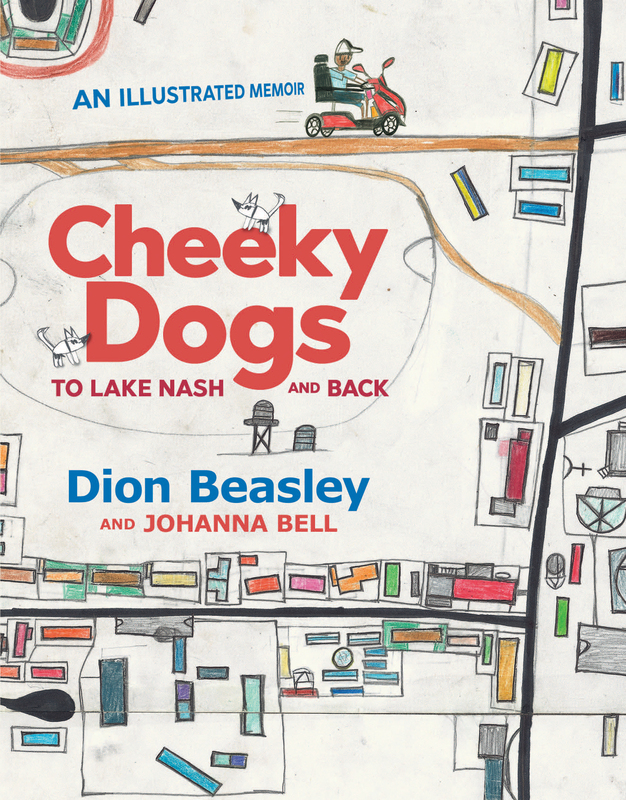 Dion Beasley and Johanna Bell have collaborated on two other books, Too Many Cheeky Dogs and Go Home, Cheeky Animals, which won the Children's Book Council of Australia Book of the Year Award in 2017. Dion Beasley lives in Tennant Creek and is well known across the Territory as the artist behind the much loved T-shirt brand, Cheeky Dogs. Dion's formal art career started in 2006 when the first Cheeky Dogs T- shirt line was launched. Since then, his reputation as an accomplished visual artist has grown from strength to strength. Dion's talents are particularly remarkable given he has muscular dystrophy and is profoundly deaf. Johanna Bell lives in Darwin with her partner, daughter and a backyard full of green tree frogs. Her writing career got off to a bumpy start when she was so busy composing a story in her head that she accidentally drove into the back of a taxi. It was while driving on a bumpy stretch of road outside Alice Springs that the beginnings of the Cheeky Dog books, took shape. Working with Dion has changed the way Johanna sees the world and tells stories. Johanna and Dion's books include Too Many Cheeky Dogs and the CBCA Book of the Year, Go Home Cheeky Animals.